We help solve the difficult task that financial institutions and payments companies are faced with by providing mandatory compliance solutions for AML/KYC. Our solution provides state of the art technology that uses AI & ML to help identify high risk individuals who may be involved in these crimes by providing a world class global data solution that is fast, accurate, cost effective and compliant. Vital4 provides the most compliant due diligence and KYC/AML solution on the market. We are the first provider to incorporate Artificial Intelligence and Machine Learning to create enhanced level 1, 2 and 3 PEP profiles which helps financial institutions and payments companies solve the difficult task of identifying money laundering and counter terrorist financing. Our state-of-the-art technology identifies high risk individuals who may be involved in these crimes by providing a world class global data solution that is accurate, cost effective and compliant. 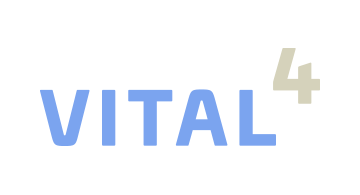 Vital4’s solutions are used by leading companies in the financial services, sharing economy, background screening, insurance, manufacturing, retail, legal and cryptocurrency sectors.